You might want to slip on a Kevlar vest and some body armor the next time you head down to the local mall to do some shopping at Bed, Bath & Beyond or the Pottery Barn. 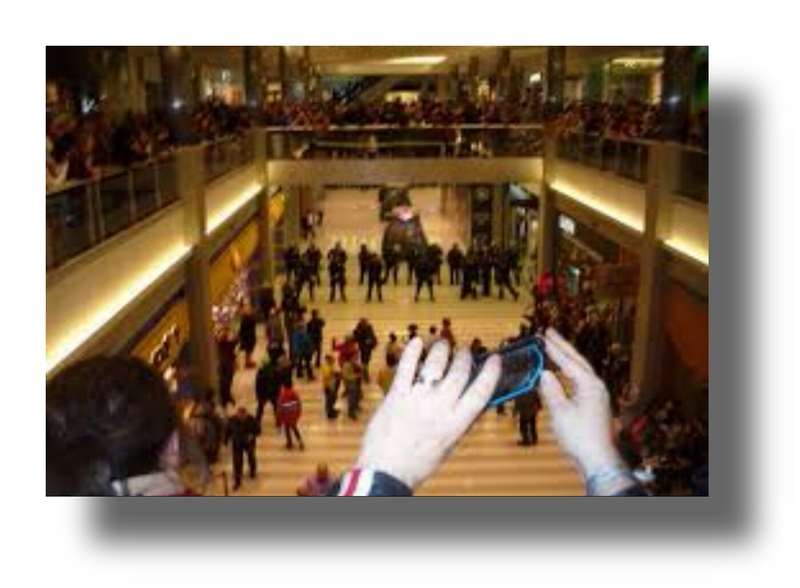 The entitlement generation is on the rampage – turning many of our nation’s shopping centers into war zones. Over the long holiday weekend, mobs of unsupervised teenagers terrorized shoppers and department stores across the fruited plain. 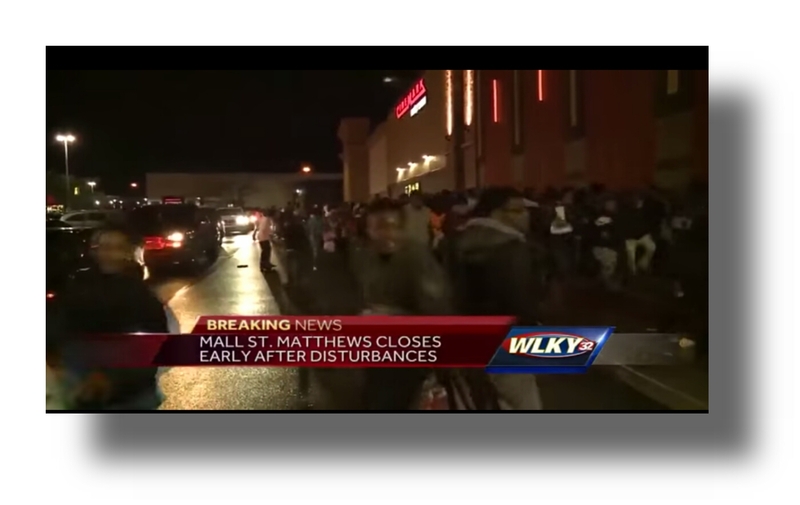 As many as 2,000 teenagers rioted Saturday night at the Mall St. Matthews in suburban Louisville, Kentucky. 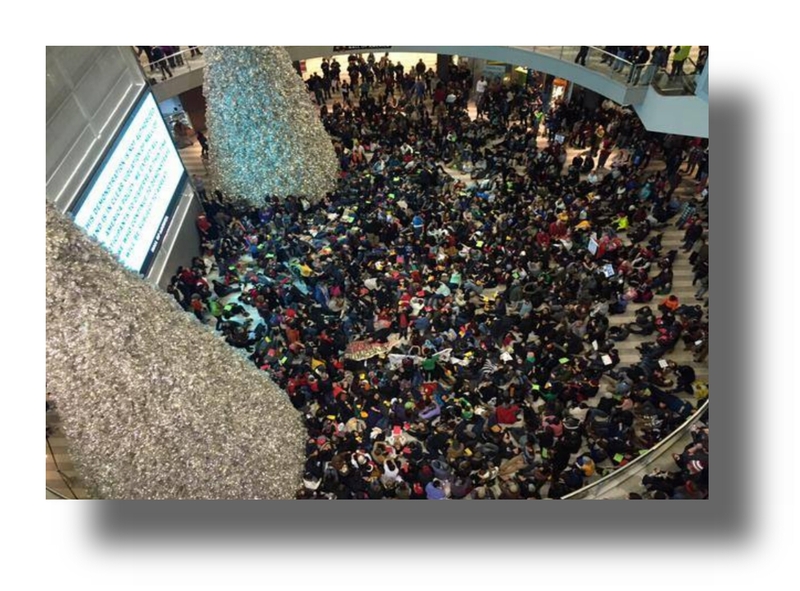 Officer Dennis McDonald, a spokesperson for the St. Matthews Police Department, told USA Today that most of the offenders had been dropped off at the mall or had arrived by public transportation. At some point you have to wonder if mall management will provide “safe spaces” for customers. But it’s not just in Louisville. There were more than a dozen attacks at malls across the country. 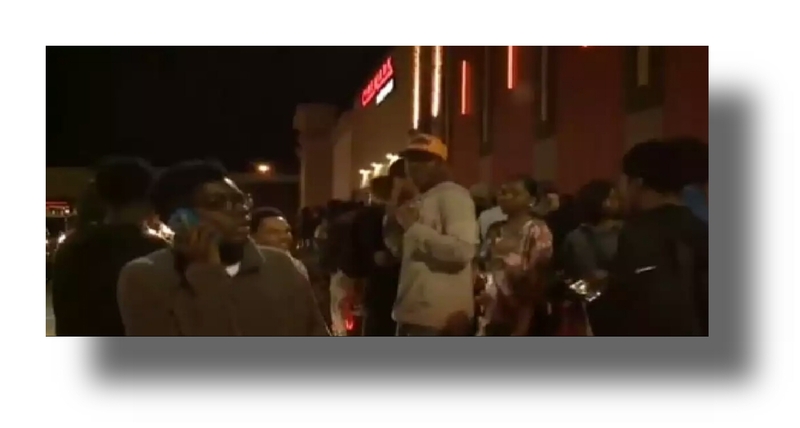 Hundreds of teenagers fought at Park Plaza Mall in Little Rock, according to television station KTHV. 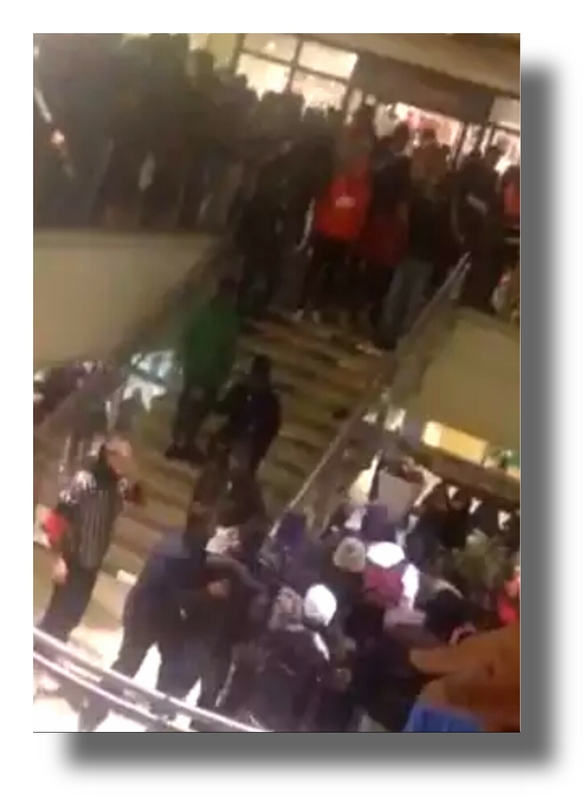 Fisticuffs broke out at the Monroeville Mall near Pittsburgh – after as many as 1,000 teens invaded the complex. Brawls were also reported in Charlotte, N.C., Wisconsin, Long Island, N.Y. and North Riverside Park Mall in Illinois. There were fights reported at movie theaters in Jacksonville, Fla. and Memphis, Tenn.
What happened in Louisville was made even worse because not a single person was arrested – not one. Instead, they loaded up the little thugs and thugettes on city buses to take them back to where they came from. Now, what kind of message does that send? Does the city have a “Pillage & Plunder & Get a Free Ride Home” policy? It seems to me those buses should’ve hauled their butts to county lockup – all 2,000. And then – the police should’ve sworn out warrants on all those absentee moms and dads. 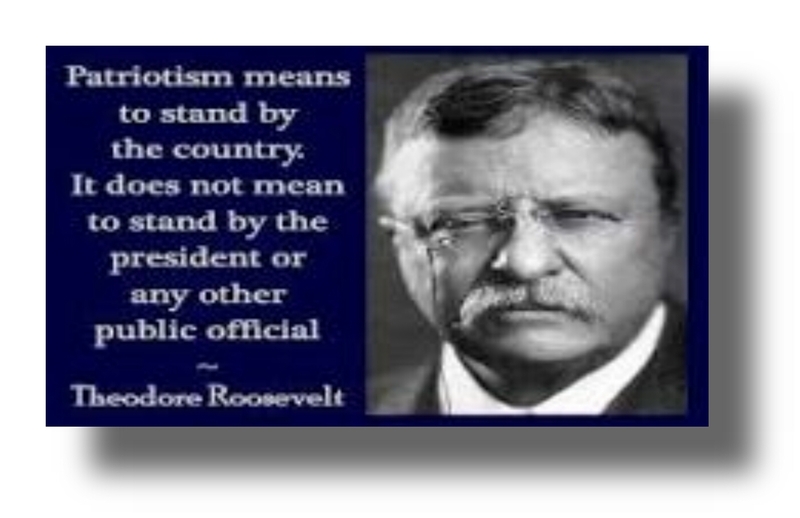 But instead — they stood down. 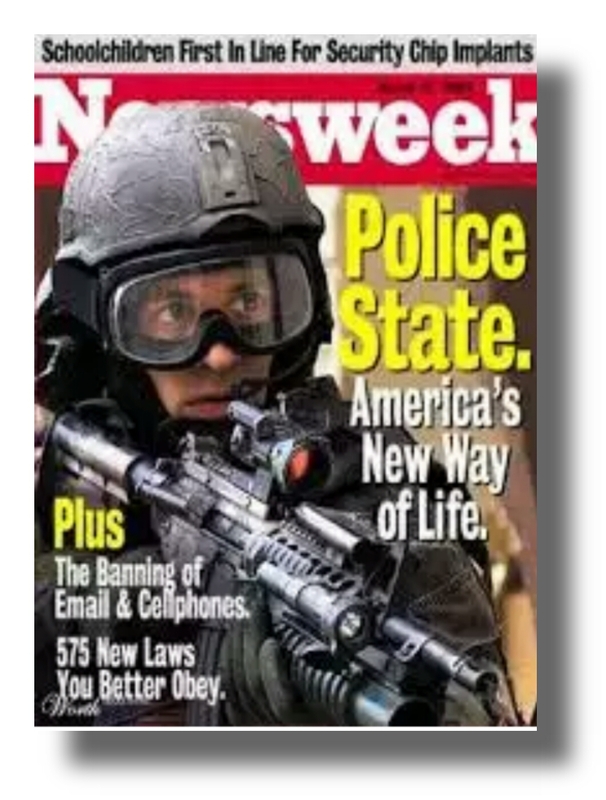 What’s the point of having law enforcement if they aren’t going to enforce the law? 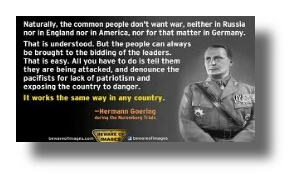 Pay attention, America. The entitlement generation is on the rampage – and they will not be stopped – not even for Dippin Dots. The first part of this is from an F-4E pilot. The pilot’s name is Jerry Driscoll, a River Rat. family only knew he was ‘missing in action’..
on it , in the palm of his hand. be willing to meet with her..
1. 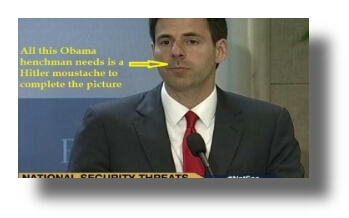 Criminalize certain groups as being terrorist simply because they belong to groups who oppose government policy of any type and then labeling these groups as terrorists (see Assistant Attorney General John Carlin). 2. Criminalize free speech which opposes any government program, action or official (eg Loretta Lynch). 3. Seize the guns of all the newly declared “domestic terrorists” (eg the No-Fly List, Christians, etc). 4. Perpetuate more false flag attacks in an effort to disarm even more Americans through an ever-growing web of gun confiscation efforts. Then there is the X-factor: Does anyone else wonder why this administration is so determined to end the private ownership of guns when it has been clearly established that those areas who have the most stringent gun control (e.g. New York, Chicago, and Washington DC) also have the highest gun violence and homicide rates? What will this administration do once they have all of our guns? What are trying to accomplish? I was recently having a discussion with Doug Hagmann about how much we have learned about what is coming. We also collectively bemoaned the fact that sometimes we have interesting facts, but sometimes we are not able to fully appreciate the significance of some events until they fall into context at a later time. This article deals with this reality of our previous failure to connect some very ominous dots. 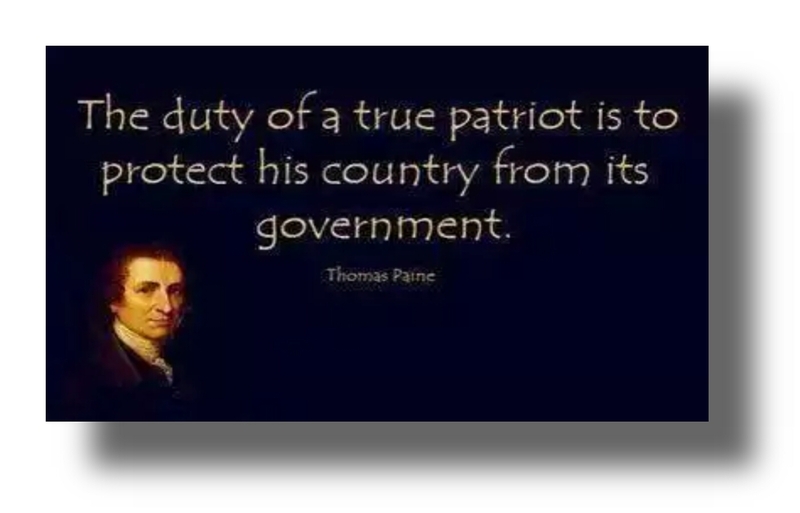 Over the past three months, I have had information but did not appreciate how the facts demonstrate such a well orchestrated plot designed to eradicate the Constitution by obliterating the First and Second Amendments to the Constitution as a direct result of ushering in more false flag event designed to eliminate all private gun ownership. This plot also includes the silencing all governmental critics while destroying the fabric of the American jurisprudence system. We now have enough contextual data to identify a clear and undeniable pattern to demonstrate that there is a very thin line between our Constitutionally protected rights and falling into the abyss of living under a type of East German Stasi society. Finally, I feel that I have fully connected these dots. The plot is child-like in its simplicity, and it is not new. The Independent Media has been relentless in their criticism of the heinous and unconstitutional proclamations by Attorney General, Loretta Lynch, as she promised to prosecute any journalist who dared to speak out about the folly of the Muslim-inspired, Refugee/Resettlement Program and for daring to criticize radicalized Muslims, estimated to be 10% of the Muslim population, who would do/have done innocent people harm. 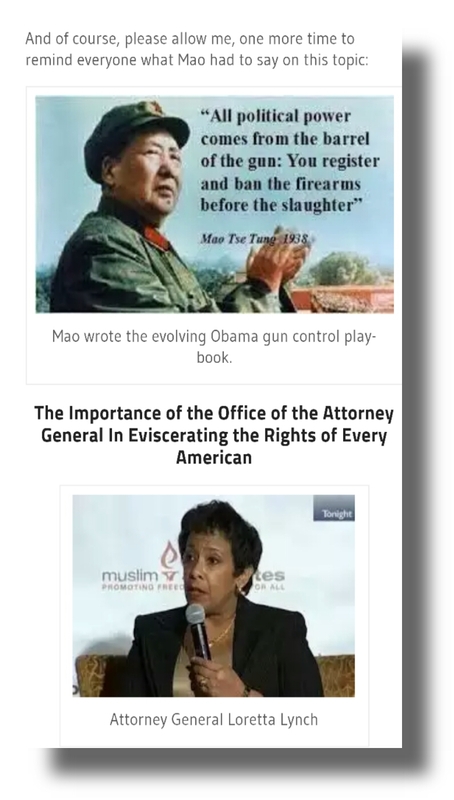 Lynch also went on to say that she was interested in preventing anti-government rhetoric as well. In other words, the First Amendment is on life-support. Sometimes, if we just pay attention, our opponents will give us the ammunition we need to expose an improper and immoral agenda. Assistant Attorney General, John Carlin, would eliminate the Bill of Rights, if given the opportunity. Marines of 1st Platoon, Fox Company, MARSOC. “If I don’t cooperate with them that they were going to do everything in their power to ensure that my mother would be deported.“ – US Marine threatened by military investigators. As any Marine will tell you, it’s never a good thing when the enemy is making every attempt to kill you. And as the fighting Leathernecks of 1st Platoon, Fox Company will make equally clear, it’s worse when your own officers and government want you dead. Making the entire episode all the more disgusting, most Americans don’t even know anything about this. As reported by KABC of Los Angeles, California, on Christmas day 2015, and also by the Los Angeles Times earlier this summer, despite seven Marines cleared of charges that could have led to the death penalty, the stigma remains. As some of the Marines claim, the US government has done precious little to clear their names and reputations after wrongfully being accused of killing 19 Afghan civilians and wounding 50 more. While deployed to the Taliban-infested Nangahar province in 2007, Fox Company’s 1st Platoon was in a six vehicle convoy heading into a meeting with village elders in the eastern district of Shinwar. With the small convoy rolling through the small Taliban-controlled village of Bati Kot that morning, they suddenly came under attack. “The car bomb blew up right in front of our second vehicle. Having been involved in multiple explosions and roadside bombs, this was the largest I’d ever seen,” Galvin said. 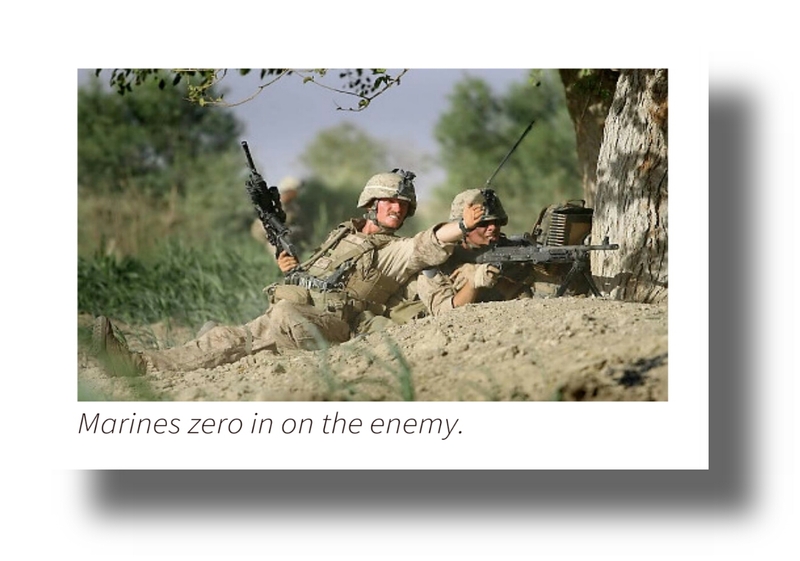 All five men inside were presumed dead, but through the smoke and flames – as enemy gunfire erupted – the Marines in the second vehicle showed they were very much alive. As reported, “gunshots rang out from both sides of the road, [Galvin] recalled. Galvin said his Marines opened fire, disabling a Toyota SUV speeding toward them. In five minutes, Galvin said, his men had killed six to 10 combatants.” The whole ordeal was over in minutes. They had survived a suicide bomber and an ambush with only one Marine suffering a shrapnel wound. Of the 120 men of Fox Company, seven Marines wound up facing charges, one of them being Galvin. They came to be known in the press as the “MARSOC 7″ killers. Besides being found guilty by the press, the Marines also faced US Army officers not only declaring them guilty, but Department of Defense (DoD) investigators engaged in tactics such as threatening one Marine from East Los Angeles that his mother would be deported if he didn’t “cooperate” with the government’s prosecution team. “They were coming after the seven of us. It [official charges] said homicide, Article 138 of the Uniform Code of Military Justice: Negligent homicide, max punishment death,” Galvin said. After more than three weeks of testimony at North Carolina’s Camp Lejeune, the Court of Inquiry concluded in January 2008 and decided not to bring charges. The findings weren’t made public until May 2008, buried late on a Friday of a holiday weekend. “Five months later on Memorial Day weekend, they [the US government] released a one-sentence statement, ‘The Marines acted appropriately,’” Galvin said. As a prime example of left-leaning and an overtly bias media, Britain’s The Independentnewspaper noted in a May 2009 article that despite reporting that the MARSOC (Marine Special Operations Command) members of Fox Company being cleared of all charges, The Independent still referred to the Marines as “Rumsfeld’s renegade unit” and was still printing that the Marines ” fired indiscriminately at pedestrians and civilian cars, killing at least 19 people”. Nicholson wasn’t the only Army officer to betray the Marines. The Army’s Lt. Gen. Frank Kearney, head of U.S. Special Operations Command-Central Command, said six weeks after the shootings that there was no evidence of insurgents among 10 dead and 33 wounded Afghans. Kearney had ordered Fox Company removed from Afghanistan six days after the attack. Kearney, now retired, declined to comment on the LA Times article. A month after the attack, Galvin was relieved of command. The same combat Marine was further humiliated when ordered to stand in front of his entire 120 Marine unit and read the official orders relieving him from command. However, Major Gavin knew exactly what the stakes were against him and his Marines. “They were coming after the seven of us. It said homicide, Article 138 of the Uniform Code of Military Justice negligent homicide, max punishment – death,” Galvin said. After more than three weeks of testimony at Camp Lejeune, NC, the Court of Inquiry concluded in January 2008 and decided not to bring charges. The findings weren’t made public until May 2008, buried late on a Friday of a holiday weekend “document dump”. “Five months later on Memorial Day weekend, they [the US government] released a one-sentence statement, ‘The Marines acted appropriately,’” Galvin said. In the meantime the Army has promoted Nicholson to Lt. General (three stars) and has said through a spokesman that his “thoughts have not changed” since his testimony at the 2008 court hearing. KABC also reported, “Those who are out say they can’t find jobs, many are in failing health and divorce is common, the stress too much for several marriages. They say the stigma of murder allegations follows them everywhere. ‘This has radically, adversely affected the lives of Marines, and we just want it to be known that we are innocent,’ Galvin said. He’s asking the Marine Corps for several things, among them that the commandant of the Marines publicly announce that the MARSOC 7 are 100 percent not guilty. 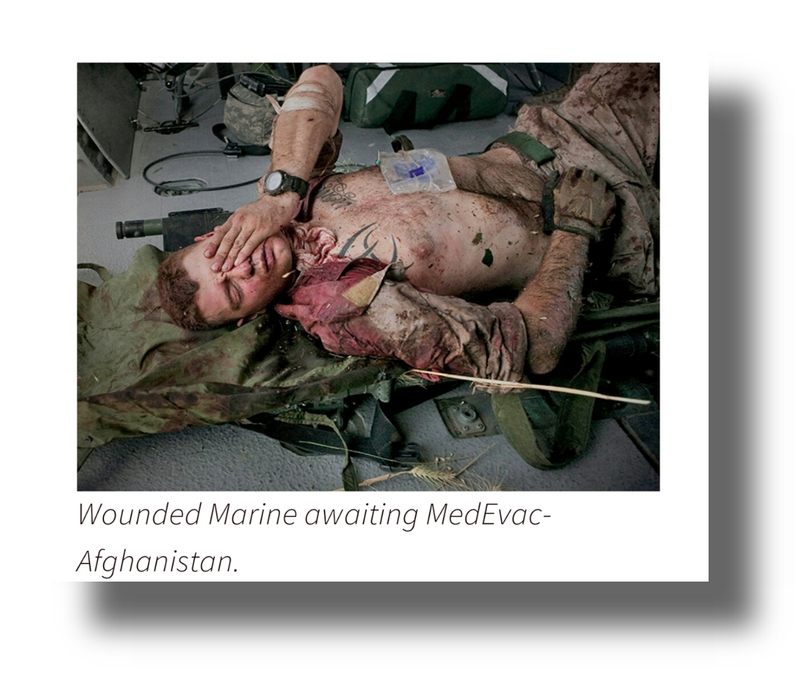 Wounded Marine awaiting MedEvac- Afghanistan. Retired Marine Capt. Vince Noble, formerly Fox Company’s Executive Office (second in command), said the military command buckled to political pressures and abandoned its own men. “I still ask myself: How could the military turn against its own like that?” said Noble, who now works in law enforcement in New York. A U.S. military police patrol that arrived on the scene about 30 minutes after the incident found no dead or wounded Afghans.Navy investigators didn’t reach the scene until two months later, spending only about an hour there. Among the most damning witness testimony was that of Haji Liwani Qumandan, who said he was driving a blue Toyota SUV — which the Marines said carried armed men who fired at them. Qumandan testified that everyone in the vehicle was an unarmed civilian. Qumandan said the Marines fired “thousands of bullets” which killed his father and 12-year-old nephew, and wounded him in the back. Simply for his name not turning up on any US intelligence terrorist lists, Qumandan received a condolence payment for the deaths of his father and nephew as well as the supposed wound to his back. Yet in a classified court session that was withheld from the media, a US intelligence report described Qumandan as an “active Taliban participant,” according to Colonel Morgan, the Marine jury member. “He was bad news — we were dealing with the devil,” said Morgan, who had served as a Marine intelligence officer prior to his retirement. Several other intelligence reports also said Qumandan actively supported Taliban efforts, retired Marine Master Sgt. James Crawford, the signals intelligence chief for Fox Company in 2007, said in an interview. After 17 days of testimony, the three-officer jury cleared Galvin and the others. The court noted “unsubstantiated allegations” by military commanders about civilian casualties. It cited the undue influence of a “high level of command, media and governmental attention focused” on the incident. Testimony by the Marines was “consistent, truthful and credible,” the court concluded. Afghans, on the other hand, were known to “fabricate statements and evidence” in hopes of receiving U.S. condolence payments, the court said. Earlier this year, Rep. Walter B. Jones (R-N.C.) demanded a public apology from thenMarine Corps commandant, Gen. Joseph F. Dunford, who is now serving as the Chairman of the Joint Chiefs of Staff. “Yet nothing has happened to clear these brave soldiers who were willing to sacrifice all for their country. Obama has made it impossible to serve our country because of his hate for all who will not support the Muslims and sharia law! WAKE UP AMERICA IT’S TIME FOR A REVOLUTION! has always been conservative, scared is something else! The media continues imply that Trump is some kind of monster because he’s unwilling to play the PC game as they do along with the majority of our representatives. Appearently their greed for monetary gain takes priority over integrity. The media continues imply that Trump is some kind of monster because he’s unwilling to play the PC game as they do along with the majority of our representatives. Appearently Their greed for monetary gain is takes priority over integrity.